The City of Santa Rosa is facing a housing crisis of historic proportions, with local renters seeing some of the highest rent increases in the country. Renters from students to seniors are giving larger and larger fractions of their income to landlords – forced to choose between paying rent or buying decent food or prescription medication. This crisis is tearing our community apart, and that’s why I took action. I have championed our housing for all program, and continue to push for protection of our renters, preservation of our affordable housing, and production of housing for our students, our seniors, our young families, for all of us. You can read about my 24-point housing plan here. I was first elected four years ago promising change. Now, with your help, we have a more responsive and open city government we can be proud of - but we have more work to do. I ask for your vote so we can continue to work together and finish what we have begun. Thank you for taking the time to visit my website! You can find information about me here; more importantly, my website provides multiple ways we can connect to work on issues we all care about. Get in touch - contact me directly via email or phone. 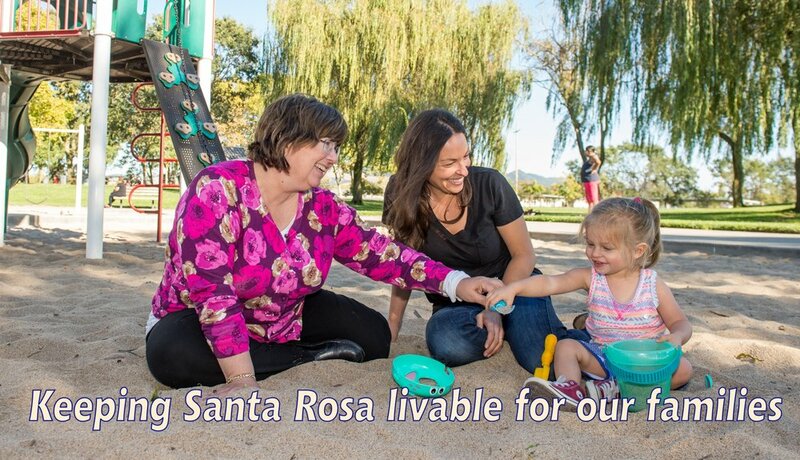 Stay informed - Stay up to the minute on the latest Santa Rosa political news and my campaign by subscribing to receive my e-newsletter, liking me on Facebook and following me on Twitter. Sign up to get news and alerts!